The island city Republic of Singapore may just be one of the most wired places on the planet. Government data state that Singapore’s household Internet penetration rate is the highest in the world at 42 per cent (end 1999). Indeed the sign of the Internet is everywhere including buses and taxis plastered with advertisements for dot coms. One of the factors behind Singapore’s success is strong government support for Information and Communication Technology (ICT). This includes the elaboration of a number of plans for developing an intelligent island, backed by concrete programs. It also includes progressive liberalization of the telecommunication industry including the introduction of across-the-board, full competition from 1 April 2000. 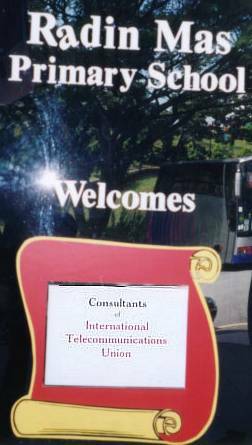 An ITU mission led by Michael Minges and two consultants, Magda Ismail and Larry Press, carried out field research in Singapore in July 2000. The aim is to understand how government support has boosted Singapore’s ICT sector and to determine how these policies can be transplanted to other countries. 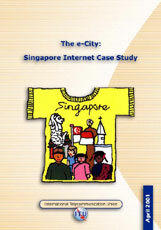 The Singapore Internet Case Study will also serve as an example of best practice to compare other Internet Case Studies to.